At One Hour Out we are all about the ‘pleasant surprise’. The pretty little town which is an oasis at the end (or middle) of a trip, or the pub that puts up ridiculously good-looking dishes. 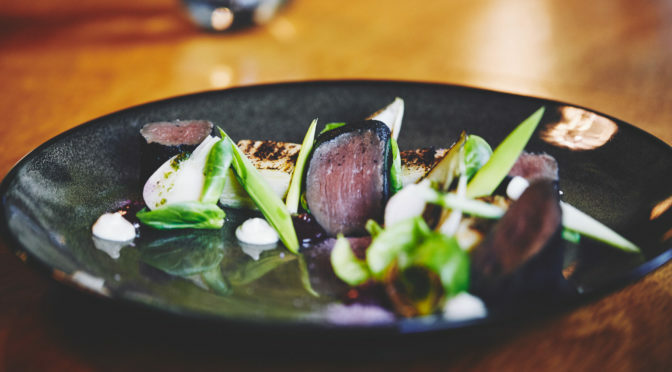 The nice thing about the Avoca Hotel is that you get all that with an added bonus of the aforementioned ridiculously good-looking dishes actually living up to their pretty visage. 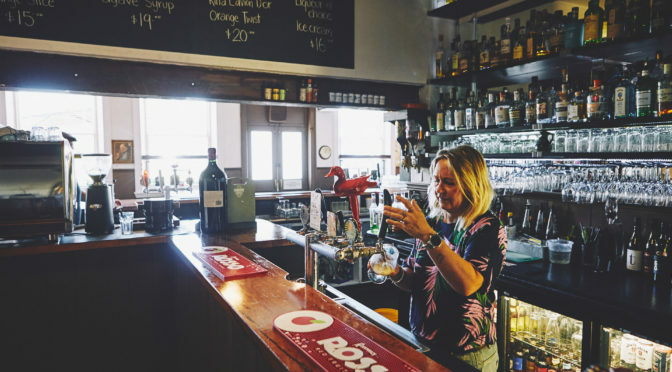 The owners of the pub inherited a renovators’ dream about nine years ago, and essentially gutted the place. 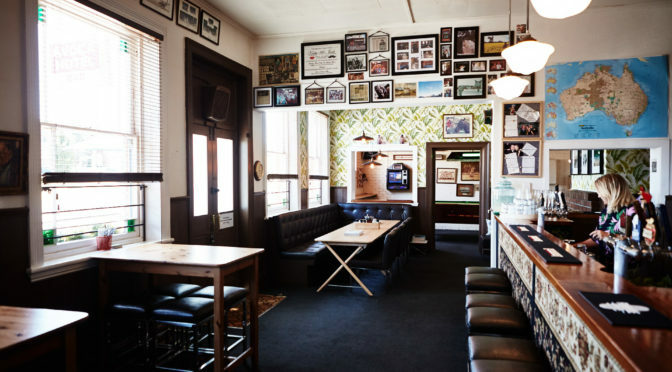 It’s not a stuffy gastro-pub fit-out though – it’s still definitely a friendly local. 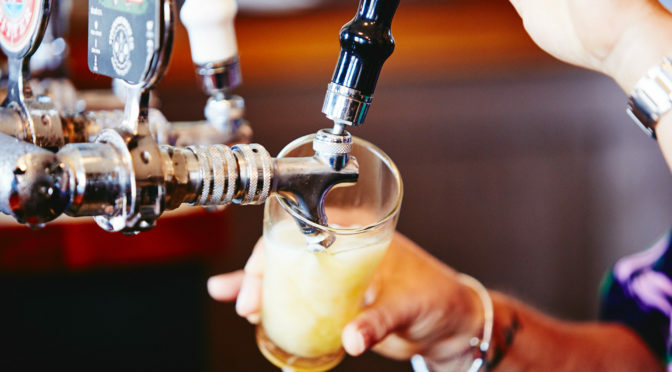 Beers are a mix of old friends and local heroes. 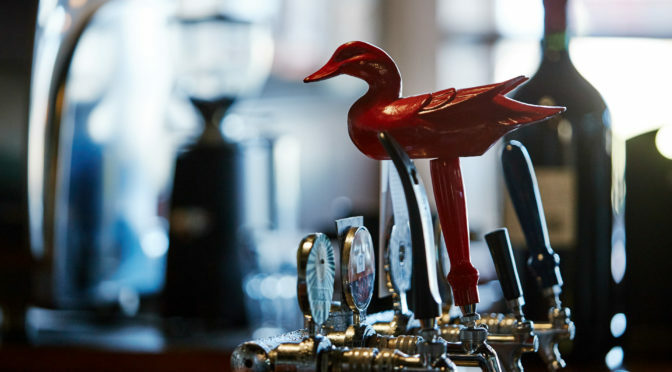 The presence of an almost life-sized carved red duck on a beer is good for a laugh as it bobs back and forth like a novelty desktop toy. The dishes are spectacular to look at and follow through with taste to match. Hay-smoked venison fillet is treated with care and respect, and tastes amazing. There’s some serious talent in the kitchen producing beautiful food like this. 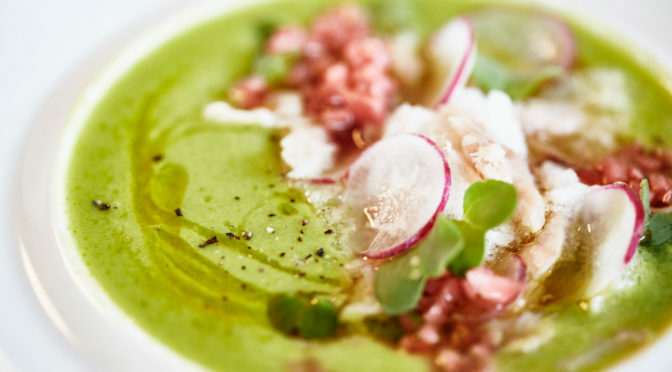 True flavours and respect for the integrity of the produce is also apparent in the radish top gazpacho. 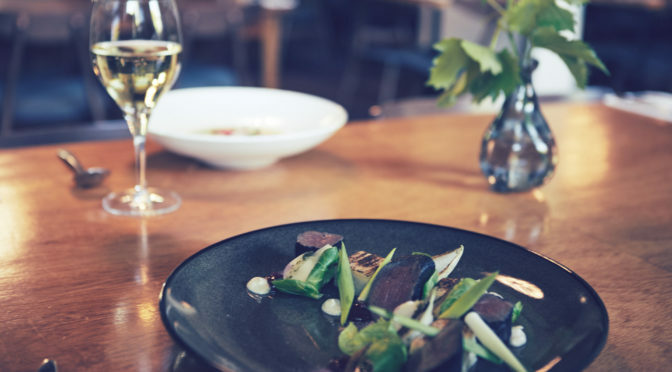 There’s plenty to see and do in the region, and the Avoca Hotel definitely makes an overnight stay in the area worthwhile for the travelling food lover.